you maybe hadn't met before and got to play some different courses. 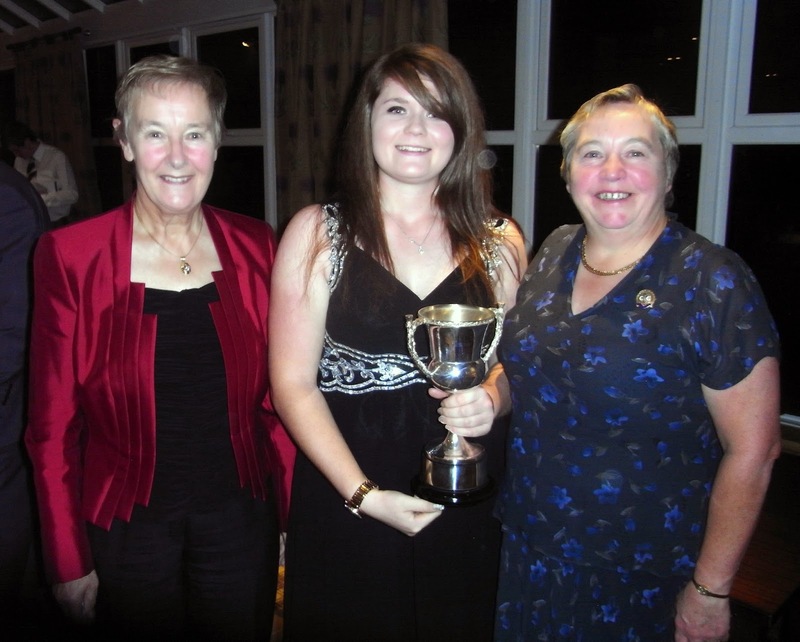 The trophy was presented by David Reynolds from the Charity Fields in Trust, formerly The National Playing Fields Association to Emma for her golfing achievements during the year. 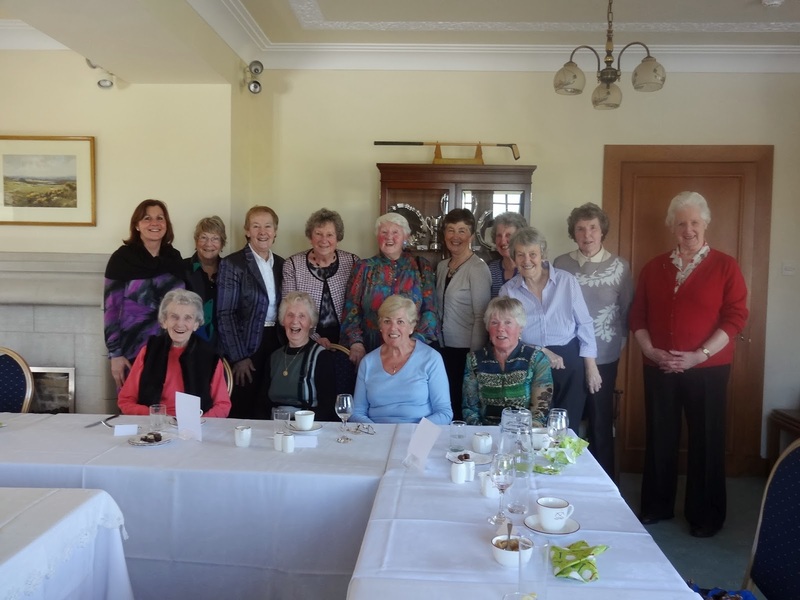 The presentation took place at Prestwick St Nicholas Golf Club on Monday 3rd November during the AJGL annual dinner and presentation of prizes. Connie has been selected for the 5 player G B & I team for the Astor Trophy to be played in Australia in January 2015. This is a round robin event held every 4 years against New Zealand, Canada, South Africa and Australia. Connie joins Curtis Cup players Bronte Law, Leona Maguire and Charlotte Thomas, and English Women's Stroke-Play Champion Hayley Davis. Connie earned her place in the team as the top eligible player from the L.G.U. Order of Merit. What a fabulous line-up! 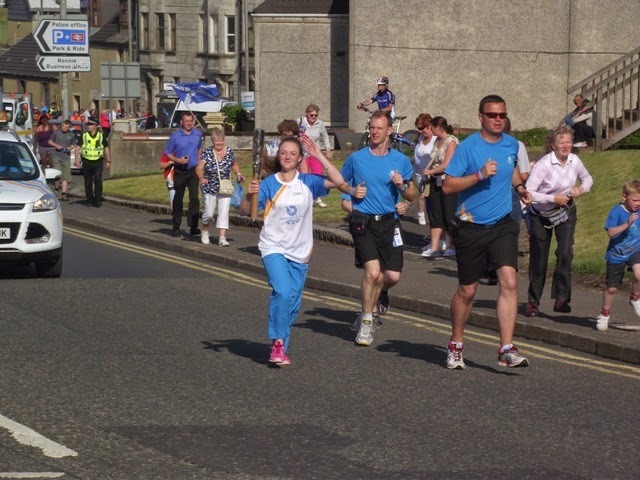 Congratulations Connie from all of Ayrshire! The final of the 2014 McCall Salver was played over Prestwick St Nicholas Golf Club. 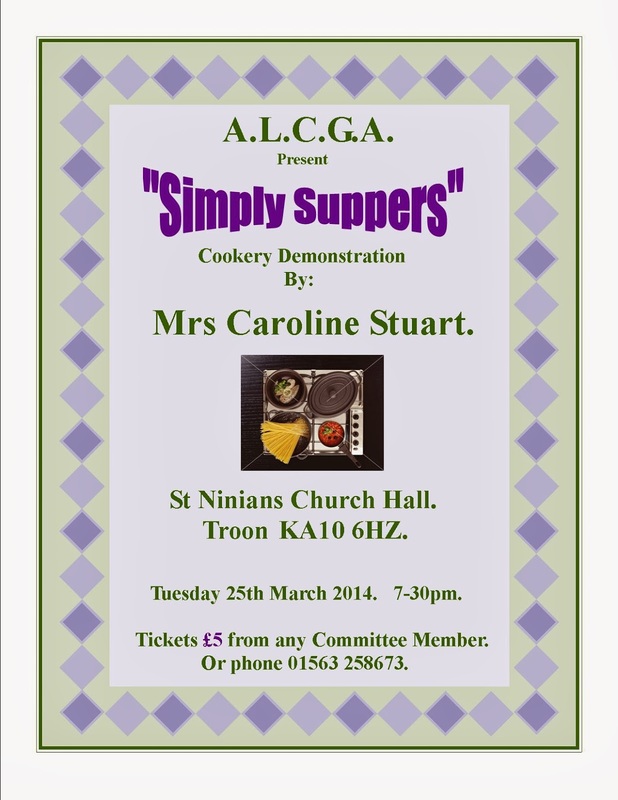 Maggie Magee and Pat Thomson both Kilmarnock Barassie members contested the final of this competition. It was a windy but dry day and the course shone in the sunlight. The greens were slick and Pat adjusted quickly to the conditions and found herself 4 up at the turn. Homeward bound Maggie staged a magnificent fight back to square the match at the 13th. Pat found her game once more and the next three holes were halved. 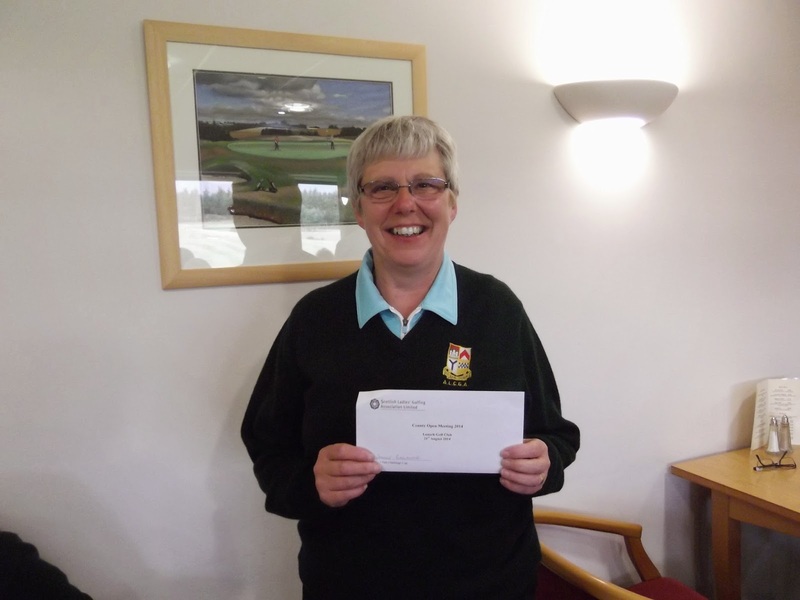 Congratulations go to Maggie who won the 16th and 17th to win the 2014 McCall Salver 2/1. ALCGA wish to thank Prestwick St Nicholas Golf Club for hosting the final on a course that is a credit to the green keeping staff. Prestwick St Nicholas Golf Club. 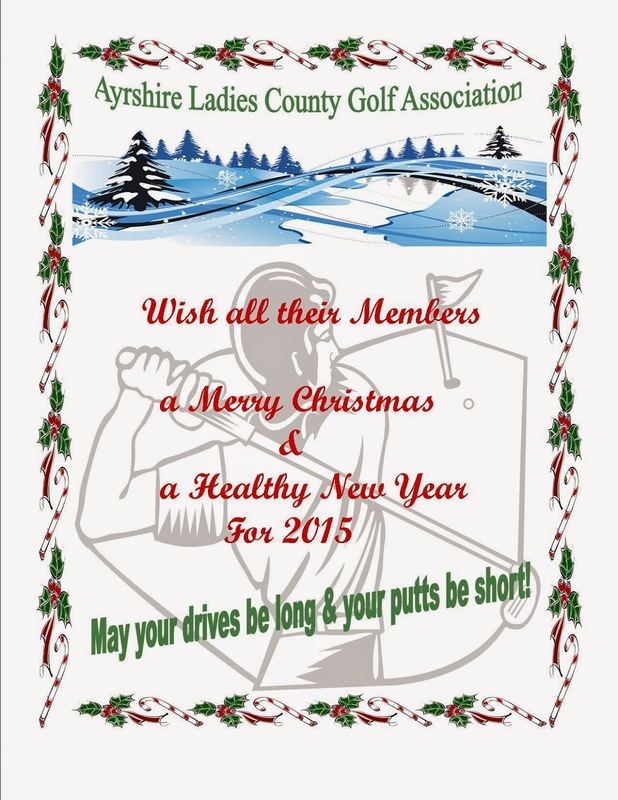 Good luck to the ladies representing Ayrshire in the final. Not such a good day today for the girls! A hard day today in Ireland for our 2 Ayrshire girls. Both Connie and Emma were beaten this morning in the first round of the matchplay stages of the Championship. Hard lines girls but well done on getting that far. In extremely tough conditions at Massereene Golf Club, Antrim, Northern Ireland both Connie Jaffrey and Emma Hale have qualified for the match play stages which start tomorrow. Both girls shot 5 over par rounds of 78 in the opening stroke play round and in the second round today Connie shot a 76 to finish tied 30th and Emma had an 80 to finish tied 59th. 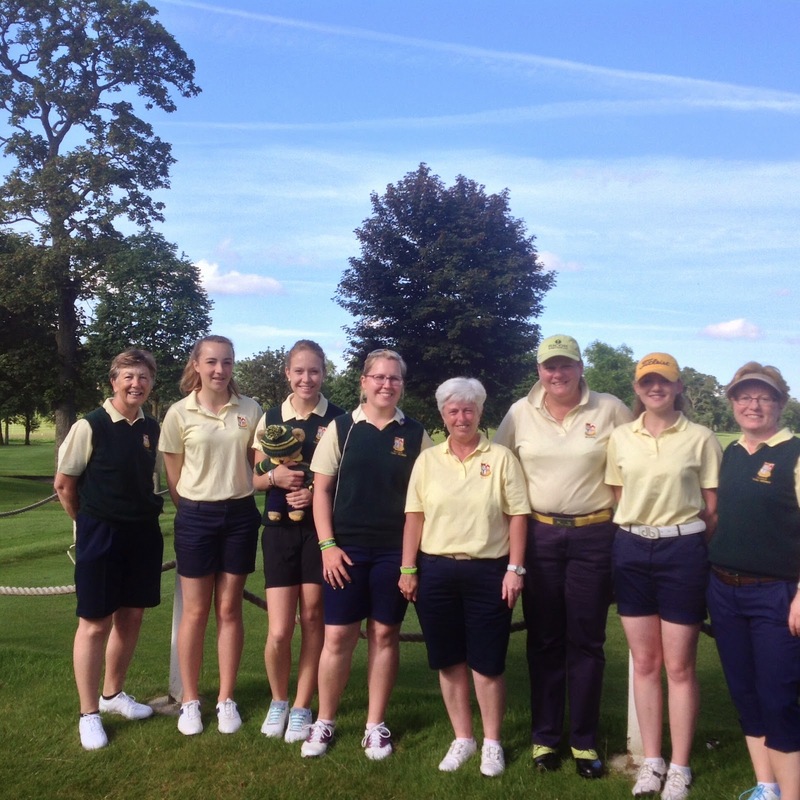 Great results for the girls in a field of 143 players. Tomorrow morning Connie will play Spains Elena Hualde Zuniga and Emma will face Michaela Finn from Sweden. Good luck to both girls. Due to the very wet weather forecast for tomorrow the above competition has been postponed to Tuesday 26th August. 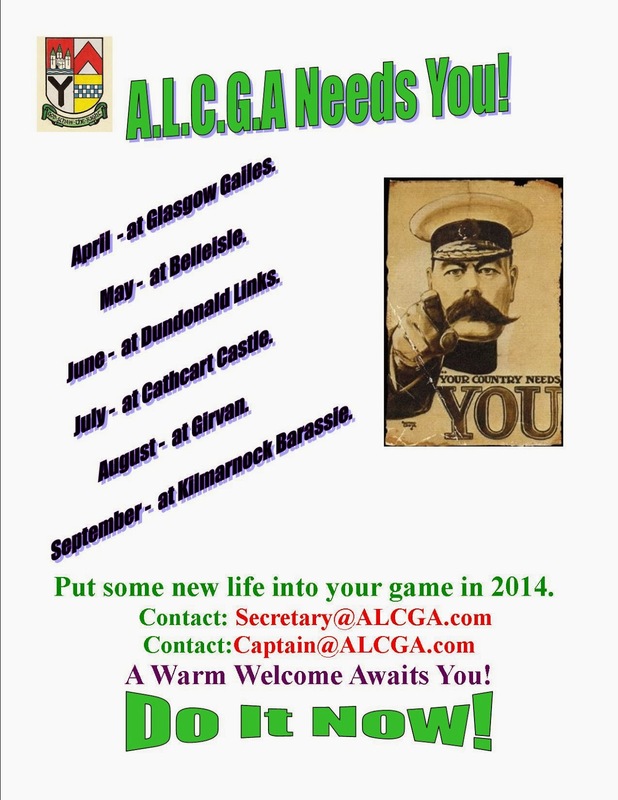 To enter please email secretary@alcga.com by Saturday 16th August . For an entry form for the rescheduled West of Scotland Championships click here. In team events during August and September. Donabate Golf Club, Ireland. 6-8 August 2014. Massereene Golf Club, Northern Ireland, 11-15 August 2014. Team Scotland is lying 7th on +20 out of 21 countries. Very well done to Alex on her achievements this week. 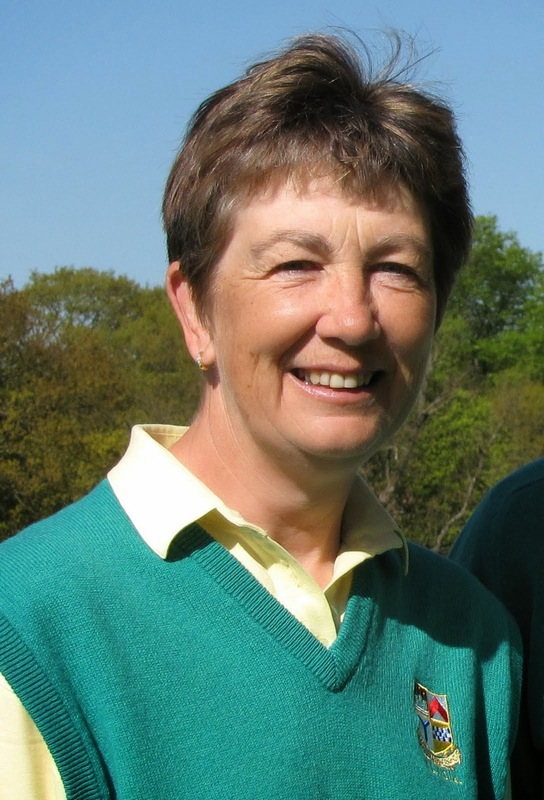 Past Captain and Past County Champion Alex Glennie from Kilmarnock Barassie has made it through to the match play final of this years Scottish Senior Ladies Amateur Championship at Elgin. This morning she beat Fiona De Vries by 2&1 and this afternoon plays top qualifier Alison Bartlett from Royal Dornoch. 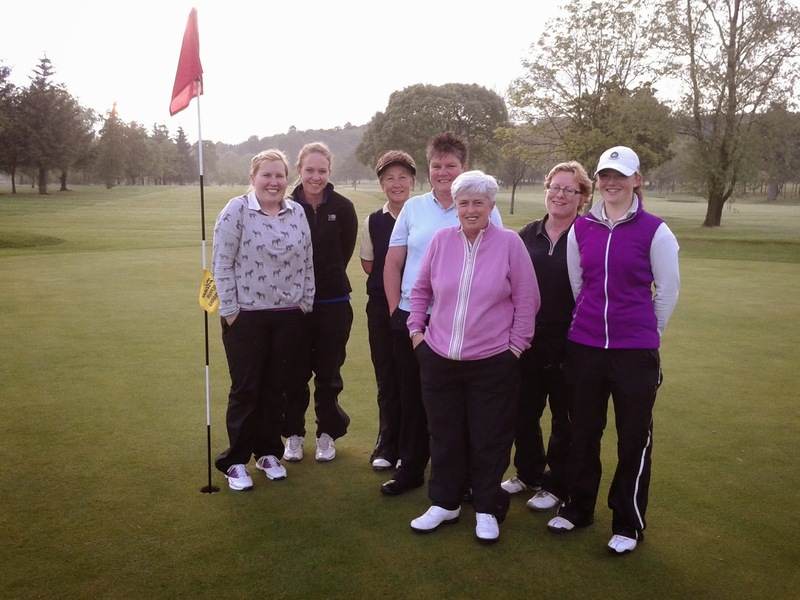 Mixed results for Ayrshire in todays match play stages of the Ladies Senior Championship at Elgin. Liz and Alex won their first round ties this morning at the 17th hole with Liz wining 2&1 and Alex 3&1. 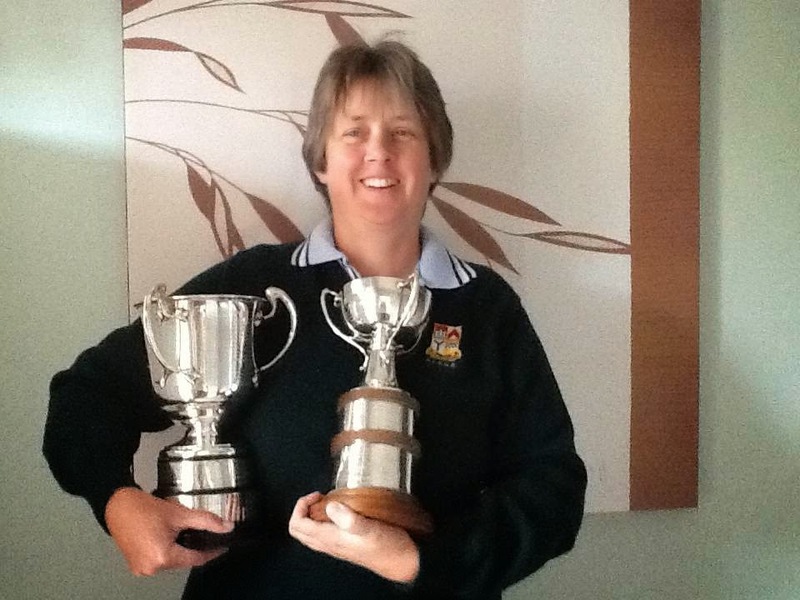 In the afternoon Liz faced a tough opponent in last years runner up from the Match play stages, Kathleen Sutherland, from Montrose. Unfortunately Liz lost by 4&2. Alex faced Anne Brownie from Gullane and successfully won her way through to the semi-finals by 2 holes, another close game. Alex made the semi-final in 2011 and she will be hoping to go further this time but will have a tough game in tomorrows semi against Fiona De Vries from St Rule. Good luck to Alex for tomorrow and hard lines to Liz but a great tournament for her. 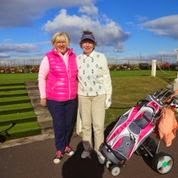 Continued success for Ayrshire on the golf links as our own Vice Captain, Liz Keohone, and Past Captain, Alex Glennie, have both qualified for the match play stages of the competition which is being held at Elgin this week. Both posted identical scores in the stroke play with 77's in round one and 79's in round two, with a Par of 74 that was great scoring from them both. 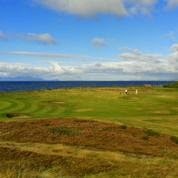 In fact, they finished tied 2nd in the stroke play, only 2 strokes behind the winner Alison Bartlett from Royal Dornoch. In a field of 91 players the girls have really done us proud. Sixteen players go through to the match play which starts tomorrow morning. 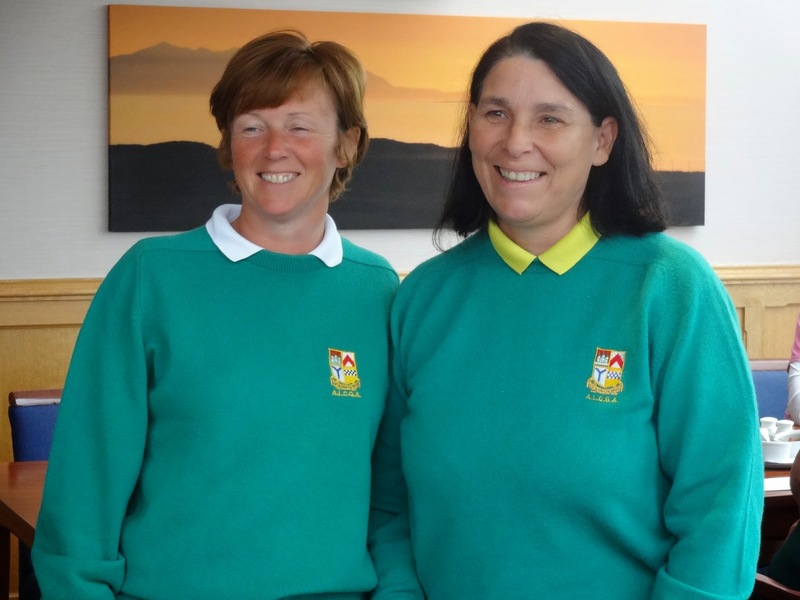 Liz will face another West golfer, Sheena McDonald from Milngavie and Alex plays Linda Grieve from Musselburgh. After qualifying for the match play stages Connie was up against it this morning when she was drawn to play the 3rd place qualifier, Luna Sobron from Spain. Unfortunately Connie lost 3&2 this morning but hopefully she has enjoyed the experience and should be proud of getting through to the match play in a high class field of competitors. It wasn't until all the second round scores were in this evening that we learned Connie Jaffrey has qualified for the Matchplay stages of the Championship. At one point it looked like she might have missed out by one shot and at times it looked like there may be a play off for the final places. Another great achievement for Connie who joins fellow Scots Lauren Whyte (St Regulus), Gemma Dryburgh (Beaconsfield), Ailsa Summers (Carnoustie) and Alyson McKechin (Elderslie) in the knock out stages which begin tomorrow morning. the end of the 3 days and our team did well with some very good wins. will be held at Loudoun Gowf Club from 15h to 17th June. For Monday's results click here. For Tuesday's results click here. For Wednesday's results click here. To view the list of trolley pullers click here. On Monday the SLGA announced their Ladies and Girls teams for the European Team Championships which are being held this year in Slovakia and Slovenia on July 8-12. 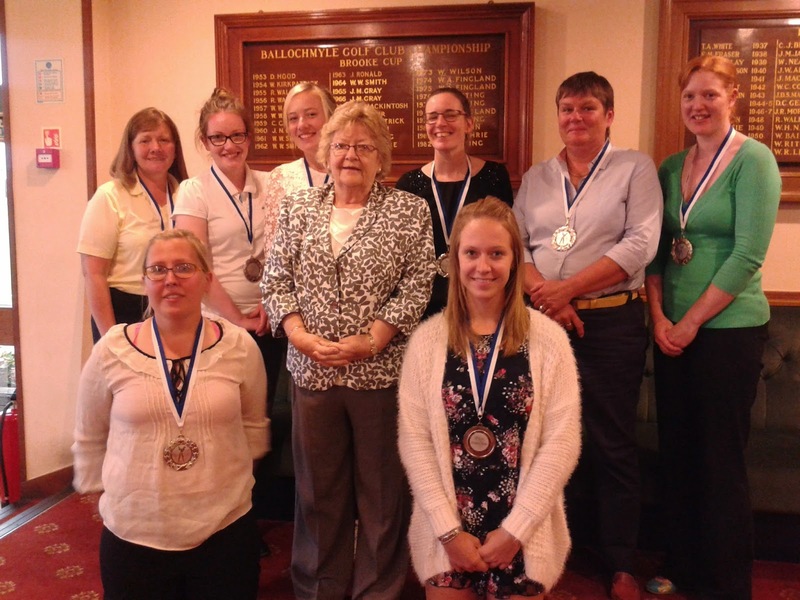 There was good news for Ayrshire with Connie Jaffrey (Troon Ladies) being selected for the Ladies team and Hazel MacGarvie (Troon Ladies) being selected for the Girls team. 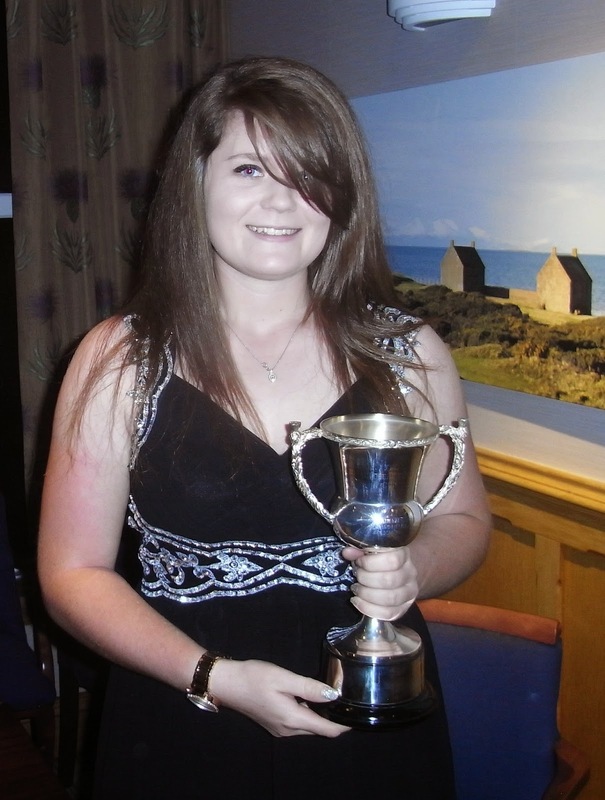 Emma Hale (Troon Ladies) has been selected as a reserve for the Girls. In addition Hazel has been selected for the European Young Masters in Germany on July 24-26. 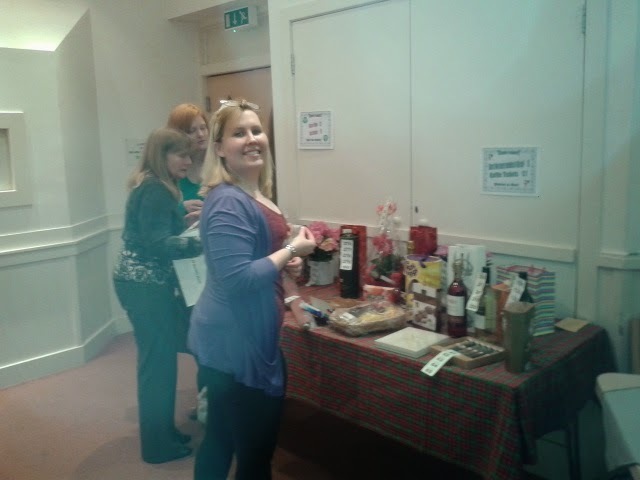 Lanarkshire came first in the scratch section with May Hughes (Lanark) and Jenny Potter (Cathkin Braes). 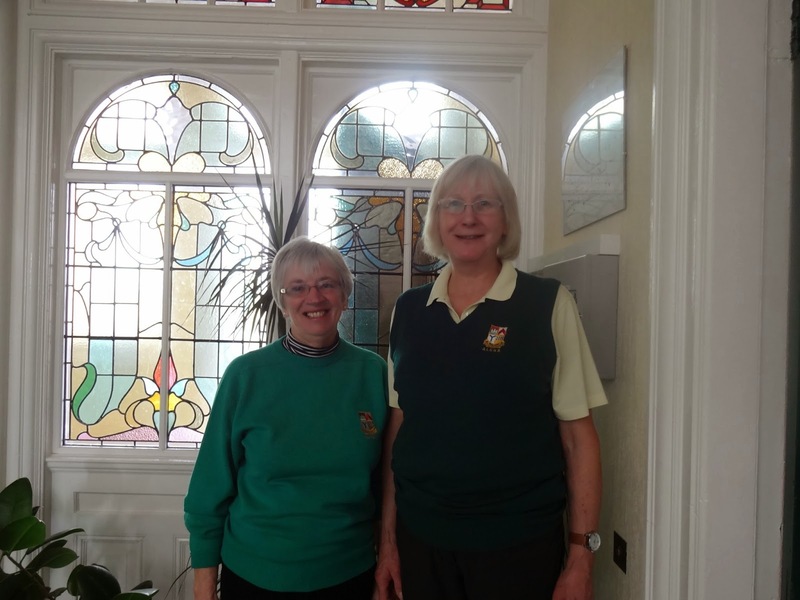 Ayrshire duo Catherine Malcolm (St Cuthberts) and Roz Purdom (St Nicholas) were second after a count back over the last 6 holes. In the handicap section Ayrshire had a great day taking the first 3 places, with Lanarkshire taking 4th spot. 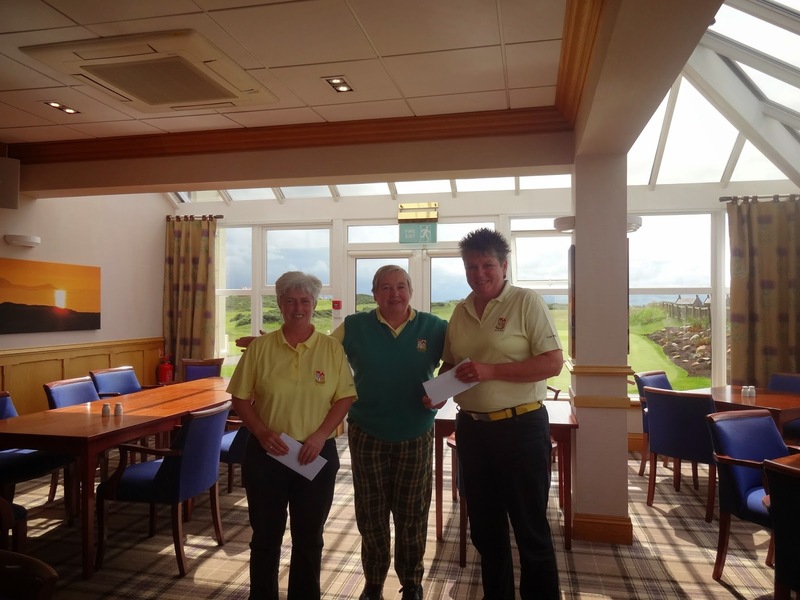 The winners of the handicap section were Liz Wilson and Linda MacDonald (Barassie) who won by 1/2 a stroke from Alex Glennie and Anne Edgar (Barassie). 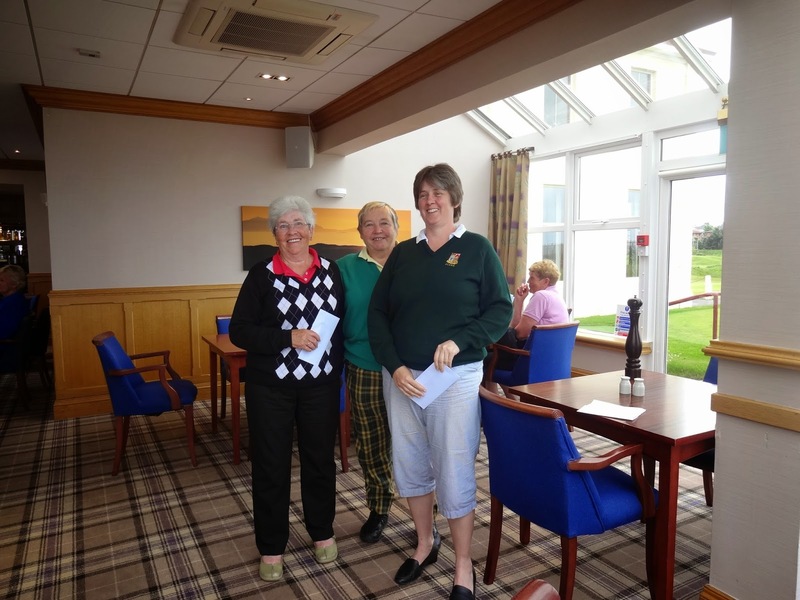 In 3rd spot was Sandra Johnson and Nancy Shedden (Kilbirnie). Very well done girls. Connie Jaffrey had another great weekend finishing in the top 10 of a class field at the St Rule Trophy in St Andrews. After 2 rounds on the New Course she was one over par but produced a 5 under par 71 on the Old Course in the 3rd round today to finish 4 under for the tournament. 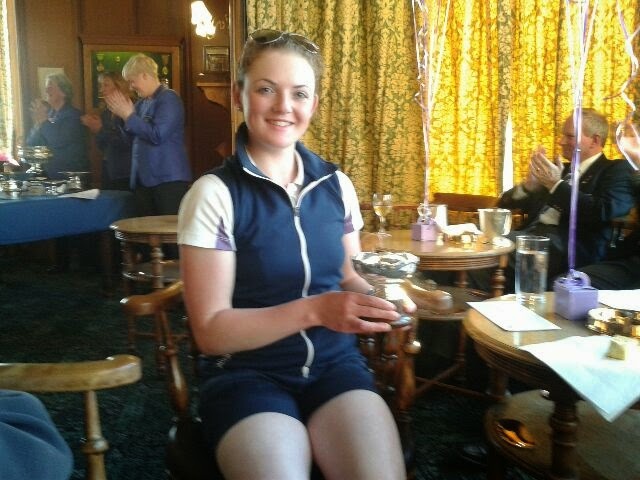 The event was won, after a 3 hole play off, by Carnousties Jess Meek. She and Aaelle Carnet from France tied on 13 under par for the 3 rounds, great scoring. (email 07dart07@gmail.com). She is waiting to hear from you. lost out at the 19th hole in an excellent final against Gabrielle MacDondald. The turning point in the game came at the 7th when Connie, 2 down, holed a long putt for a half. Connie fought back and was 1 up after the 12th. Her opponent won the 13th and birdied the 16th to go 1 up. Connie made a birdie at 17 to level the match. Both made pars at 18 to take the match down the 19th. was presented at the conclusion of play today. A great performance from Emma. Many thanks to all the spectators who came out to watch the final today what a feast of golf we saw. What a day at Prestwick today!! 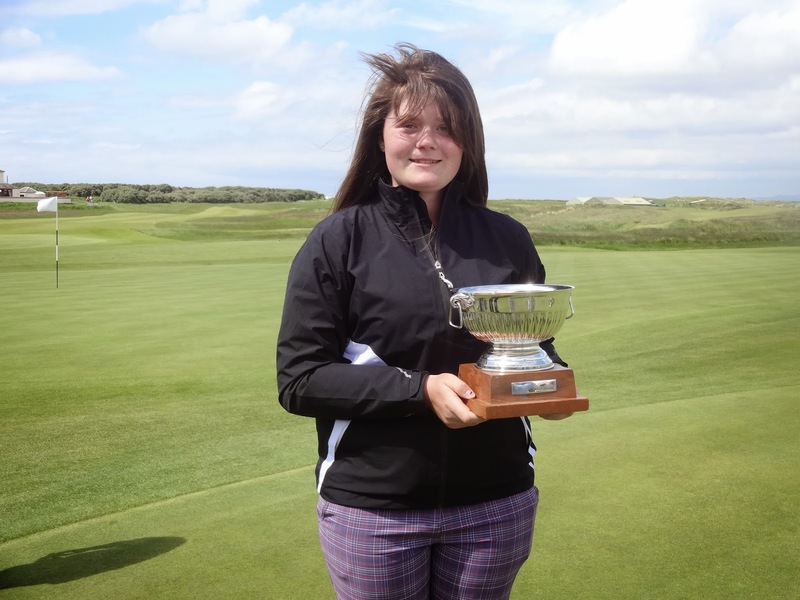 Connie Jaffrey had 2 great wins today and progresses to the final of the Scottish Ladies Amateur Championship tomorrow against Gabrielle MacDonald from Craigielaw. This morning she had a tight match against Lauren Whyte, going one down after 13 she birdied 15 to square the match then won 16 and 17 to take the tie by 2&1. 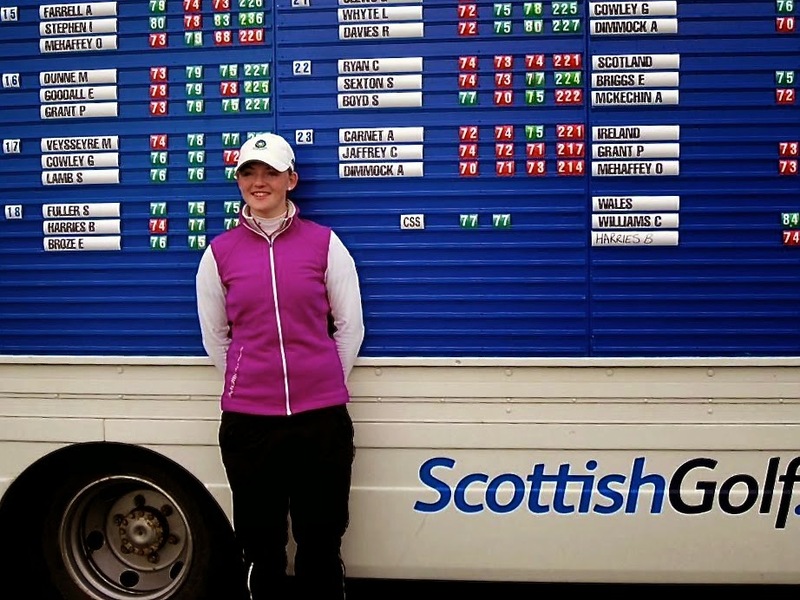 She faced a tough opponent in the afternoon semi final - recent Curtis Cup selection, Eilidh Briggs from Kilmacolm. Connie was one under par for the front 9 and turned for home one up. Eilidh fought back to square the match after 11 but Connie won the 12th to go back to one ahead. The match was squared after 14 but Connie again played 16 and 17 well to book her place in the final with a 2&1 win. The final tees off at 0900 tomorrow morning at Prestwick Golf Club and I know that Connie would appreciate all your support. 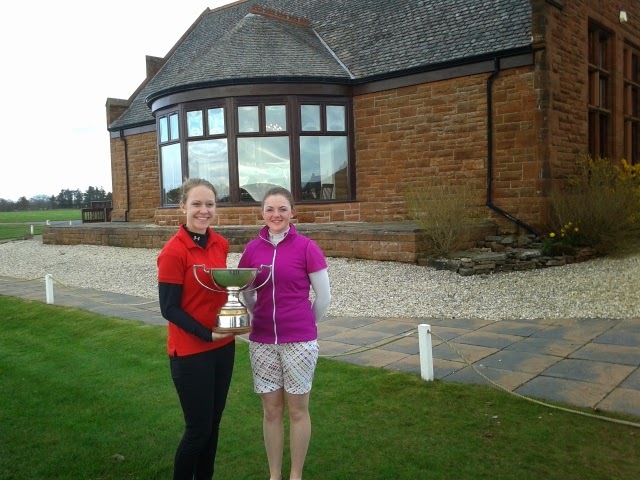 Another great success for Ayrshire this afternoon when Emma Hale from Troon won the Clark Rosebowl. A close semi final against Tara MacTaggart went to the 18th and she then went on to beat Renfrewshires Carol Whyte by 2&1 in the final. A fantastic week and result for Emma who will receive her trophy tomorrow after the Championship final. Another great round of golf today from Connie Jaffrey put her top qualifier for the match play stages of the Scottish Ladies Amateur Championship. At this evenings prize giving she walked away with a trio of trophies for - first scratch in round 1, lowest aggregate gross and lowest aggregate gross for under 21's. A fantastic achievement. In the first round of the matchplay stages she will face our own Jane Finnie who won through in a sudden death play off against Renfrewshire's Carol Whyte. After close of play they were tied on 32nd place and had to tee up again at the 15th hole. 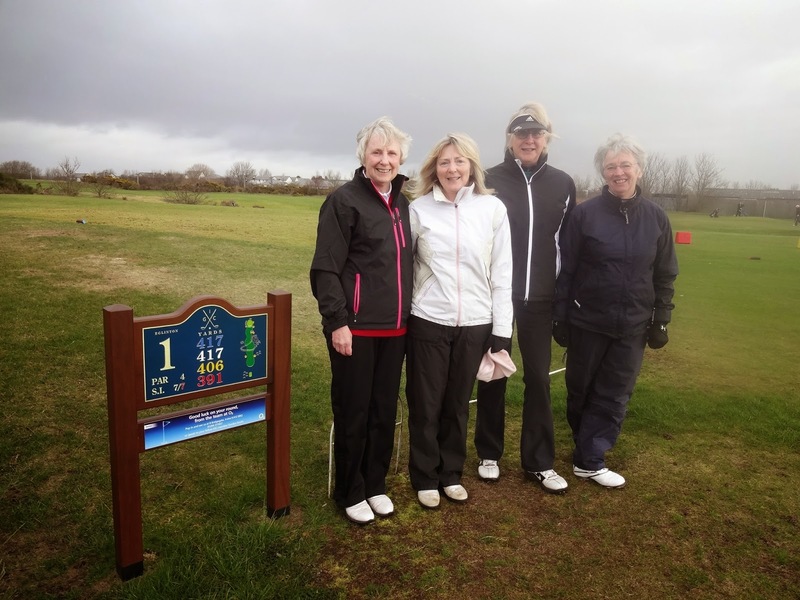 The hole was halved in 5's and so they proceeded to the 18th where Jane won the hole with a par 4. Hazel MacGarvie had great 2 days and qualified 18th, she plays Past Champion Elaine Moffat in tomorrows matchplay. Linzi Allan and Emma Hale missed out on the Championship matchplay but have both played well and have qualified for the Clark Rosebowl so they will be in action again tomorrow. On a tricky first day at Prestwick Golf Club, Connie Jaffrey returned the only sub par round of the day to lead the qualifiers in the Scottish Ladies Championship. Her score of 73 (one under par) included 7 birdies and she finished 4 shots clear of her nearest rivals. 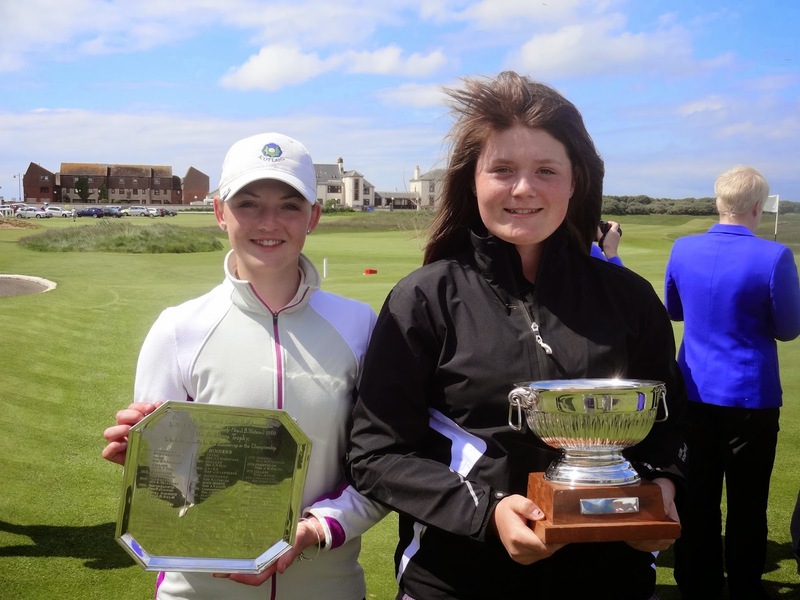 Other notable scores came from youngsters Emma Hale and Hazel MacGarvie who both finished in the top 20 out of a field of 109 players. 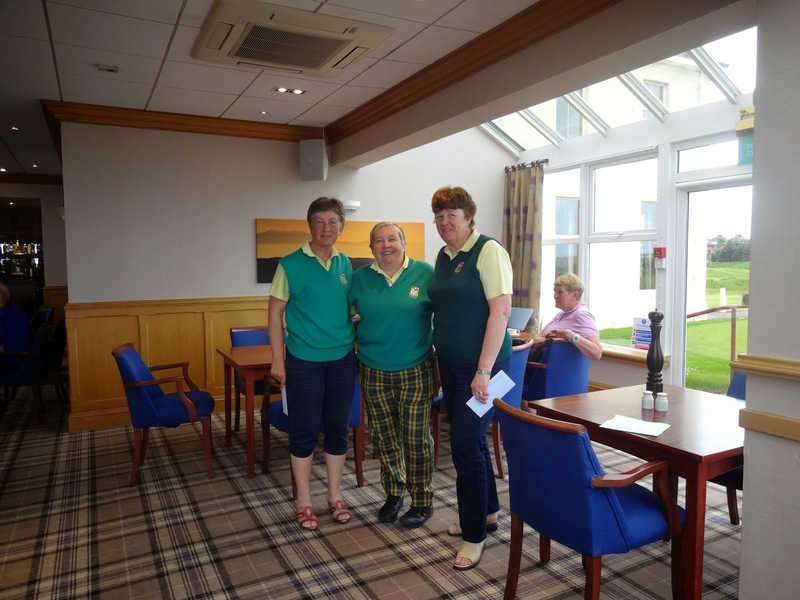 There was a top 30 finish for Alex Glennie and tied 50th was our Champion Linzi Allan along side past Ayrshire Captain and Champion Jane Finnie. The second round of strokeplay commences tomorrow from 0800, the draw will be available on the SLGA website, come along and support your fellow county members. Championship. A further 16 players compete for the Clark Rosebowl. Catherine Malcolm and Roz Purdom. For information on the SLGA County Open at Lanark on 21st August click here. who will email you a copy. The date for the Kennedy Salver which is being played at Hamilton Golf Club has been changed from Monday 23rd June 2014 to Tuesday 24th June 2014. Tee off times are 9am and 2pm. 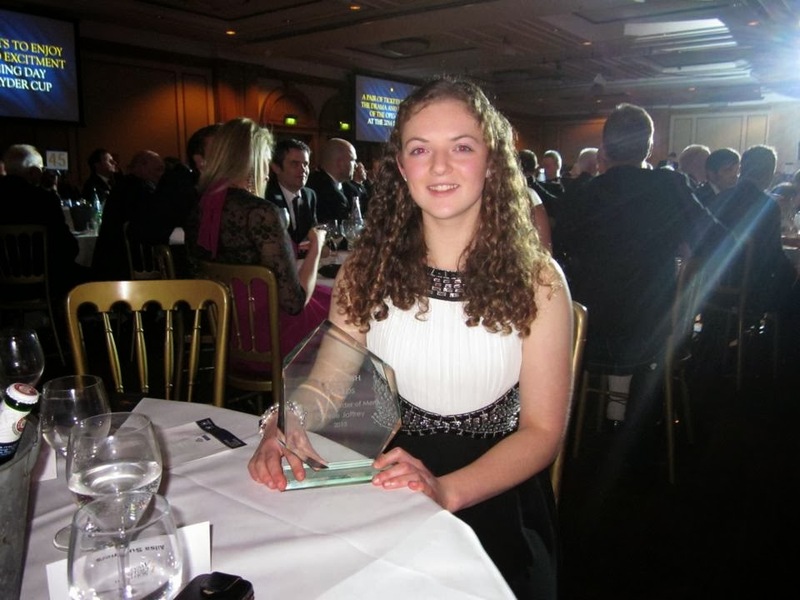 Some of you may already be aware of this but Connie Jaffrey is in contention for the Scottish Golf Union player of the year. Scottish Schools' and Ayrshire County crowns. To view our Captain's New Year letter click here.